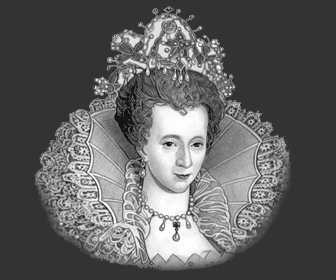 Elizabethan Customs & Festivals played a major role in Elizabethan Life. The Feasts, Fairs and Festivals were all held at the same time of year giving Elizabethan people something to look forward to in their everyday Elizabethan lives. The Customs and Festivals were generally related to the Church. All Elizabethans were expected to attend Church every Sunday so were very aware of the customs and festivals which were celebrated within the Church calendar. Most of the Lower Class population were illiterate so the Church gave the people a framework to the major events of the year. All Fool's Day. The Jesters, or Lords of Misrule, took charge for the day and caused mayhem with jokes and jests. Lammas Day was celebrated on August 2nd. The ' loaf-mass ' day, the festival of the first wheat harvest of the year. Houses were sometimes decorated with garlands. Candle lit processions and apple-bobbing was featured. Some interesting facts and information about Elizabethan Life and Elizabethan Customs & Festivals. Elizabethan people loved Customs & Festivals . The more Customs & Festivals the better. Additional Details, facts and information about Elizabethan Life can be accessed via the Elizabethan Era Sitemap.